Why the depiction of Babylonian numerals matches numeral systems the world over, and how this allows us to decipher their mathematical knowledge. And see what homework Babylonian pupils were set thousands of years ago! The Babylonian Empire was one of the earliest civilisations to spread across the ancient Middle East. The clay tablets they left behind have given historians extraordinary insights into their academic knowledge. Their tablets were marked in an ancient writing system called cuneiform. But even without understanding their language, it's possible to recognise their numbers, which reveal a surprisingly familiar form of maths. Like many early cultures, such as the ancient Chinese and Romans, Babylonians signified numerals by using the equivalent number of marks. One was one mark, Two was two, and three was three. To make them easier to write, the Babylonians used more complicated numerals to denote four or more. Historians have used this knowledge to decipher preserved Babylonian tablets. These reveal the civilisation's advanced understanding of mathematics. They depict fractions, algebra and even quadratic equations. But it's also possible that some of the tablets show that pupils today have something in common with Babylonian children: homework. Dr Eleanor Robson Cambridge University, UK – "So, this is a geometrical textbook from about the 18th century BC, and I hope you can see that there are lots of pictures on it, and underneath each picture is a text that sets a problem about the picture. So for instance, this one here says, 'I drew a square 60 units long and inside it I drew four circles, what are their areas?' 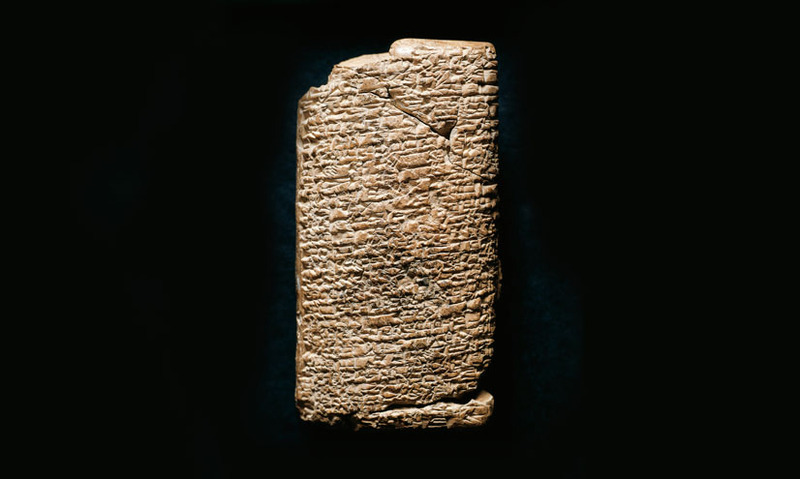 "
One of the most famous Babylonian tablets, named after the museum collection in which it is housed, is Plimpton 322. The complex lists of numbers on the tablet correspond with the sides of right-angled triangles. "It's simply a mathematics teacher doing some quite complicated calculations, but in order to produce some very simple numbers, in order to set his students problems about right-angled triangles." But some historians question whether these tablets represent more than just records of ancient homework. 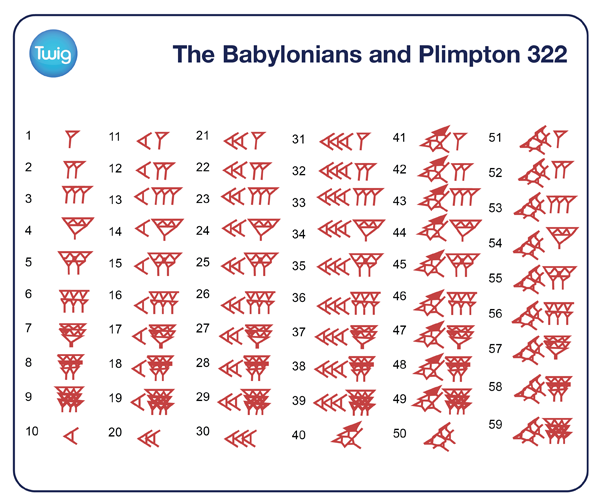 They argue that the numbers listed on Plimpton 322 are proof that the Babylonians used Pythagoras's theorem long before Pythagoras was even born. Whatever their purpose, these simple clay tablets do show the advanced mathematics used by the Babylonian Empire and possibly her children.